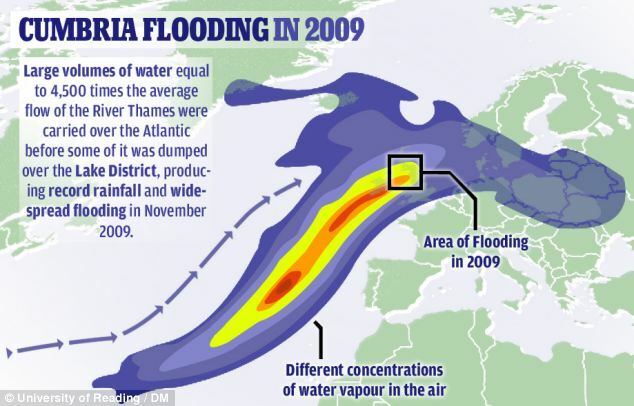 Piers Corbyn, forecaster for WeatherAction, said: “There is a significant change in the weather on the way. 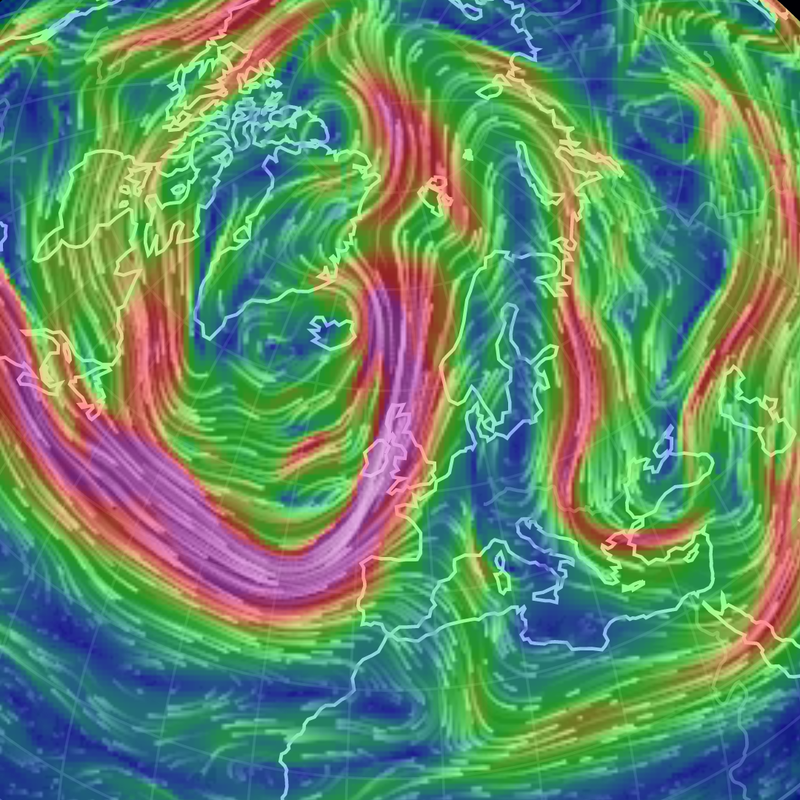 “The jet stream, which has so far remained north over the UK, is about to make a sharp southwards turn allowing an Arctic air to sweep Britain. …it’s fair to note two things 1 When Nathan Rao quotes me the actual quotes are in my experience accurate. 2 For the [Over the Top] stories where he might know I dont agree he does not quote me. For example yesterday – Sunday – afternoon there were two stories the first one quoted me and was pretty good, the second one was OTT end of world stuff in which I was not quoted, instead it had quotes from some with whom I prefer not to be quoted! Spin apart, and headlines which are put there by attention seeking sub editors, Nathan Rao who [by the way] is now freelance, has increased interest in weather and understanding of concepts such as jet stream. When you see an Nathan Rao story first skim through it and see who is quoted. In late December an interesting general world JetStream shift westwards by a few hundred miles took place making milder wetter weather in much of B+I and East USA than forecast. This was accompanied (later) by a massive coronal hole in South polar regions of the Sun and tremendous bursts of geomagnetic activity on Earth. Much of Britain and Ireland was wetter than expected in December and in the original early January Forecast. This was due specifically to the combined position of the Scandinavia High block at times (which shifted West of expected), the persistence of South winds over Britain & Ireland and quasi-stationary weather fronts dropping rain in the same places. 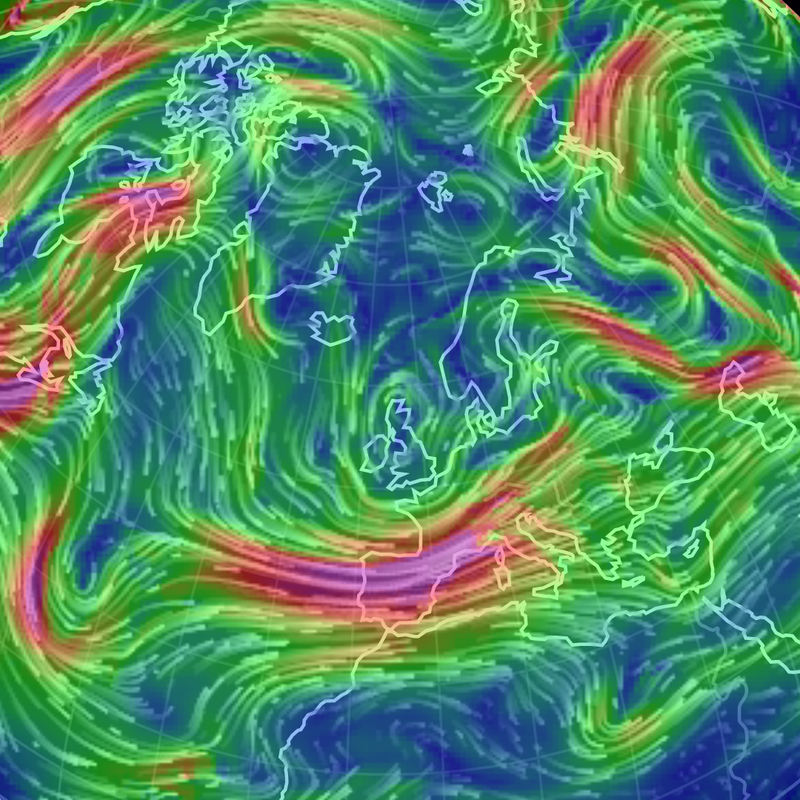 These persistent ‘Long Jet Stream stuck’ situations are a feature of the of the new weather era (Wild-Jet-Stream / Mini-Ice-Age) the world is in, and where they locate to within a hundred miles is of crucial importance. 2016 will be a year of wild and wierd weather. #StormFrank (in WeatherAction TopRed, R5, period 28-31Dec) also known as Piers Corbyn’s #StormPiers2 (The 1st was 28Oct 2013 predicted 6m ahead) hit (details below) as predicted 10weeks ahead. This storm and associated extremes around the world such as a short mild event in the Arctic and extreme blizzards and cold blasts in New Mexico and East Europe are a foretaste of the extremes and contrasts coming in the year ahead! A few years ago Piers Corbyn predicted the coldest winter for the UK in more than a hundred years. He was right and the chance of him being right by coincidence is only 1%. So I believe in the 99% chance his SLAT technique is good. But how could this winter become the coldest winter in 58 years? Either it will be the coldest winter in the last five years or it will be the coldest winter in more than a hundred years. Heavy snowfall currently affecting South-West Iceland is unlikely to let up until after midnight, according to experts at the Icelandic Met Office. Strong winds this afternoon will likely complicate matters still further with drifting snow and poor visibility. Snow has covered most of South-West Iceland, with icy conditions on roads and localised snowstorms. Temperatures are currently below freezing across the whole country. 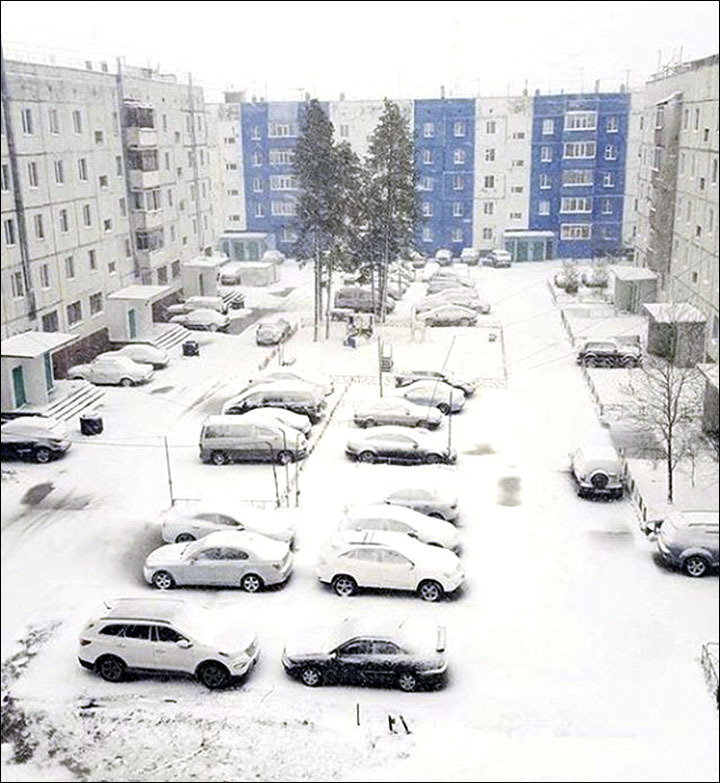 Snowfall which had been interrupted for two days began to hit central province of Sivas on Monday. Snow covered the whole city with a white blanket as of morning. Pedestrians had difficulty due to slippery road and drivers were not allowed to run vehicle without snow chain. Municipality workers are working continuously to clear snow to open way to 39 unreachable villages. The areas of southern and central Finland are being hit by a massive snow storm, wreaking havoc on roads and public transportation. Finnish state rail company VR has cancelled many of its local services outright and other delays on public transport and roads are anticipated on Tuesday. Central and southern Finland is being buried by a snowstorm that is expected to last a day-and-a-half. Heavy snowfall predictions caused the Finnish state rail company VR to pre-emptively cancel some of its local and long distance routes Tuesday and the bitterly cold temperatures inhibits the use of salt on the roads, which will also likely cause problems for drivers. Reader’s comment: Just a few headlines regarding the real weather news. Iceland, Finland, Turkey are part of, or very close to Europe. But the Dutch MSM does not report this. Instead Dutch television news had a report about wildfires in Australia. This is how people are being manipulated into believing the CAGW scam. Another proposal for Earth Shield!!! “World weather is now developing faster into grim new era”. This is true, but one of the main problems is that news about “cold waves”, snowstorms etc. will not be reported by the Main Stream Media. In the case of the BBC we know for a fact now, based on a FOIA request, that the reporters have had a Green Media Training, which includes overreporting about droughts, heat waves and wildfires and underreporting about things like cold waves and snowstorms. For example, Dutch public TV station NOS reported about January 25, 2016 being the warmest January 25 in recorded history in the Netherlands. By what margin, that is not mentioned. Not long ago we had some days when there was a low temperature record, and the margin was quite big, but most Dutch MSM ignored that. After the blizzard that hit the eastern USA, this was mentioned in the news, but very soon they stopped reporting about that. 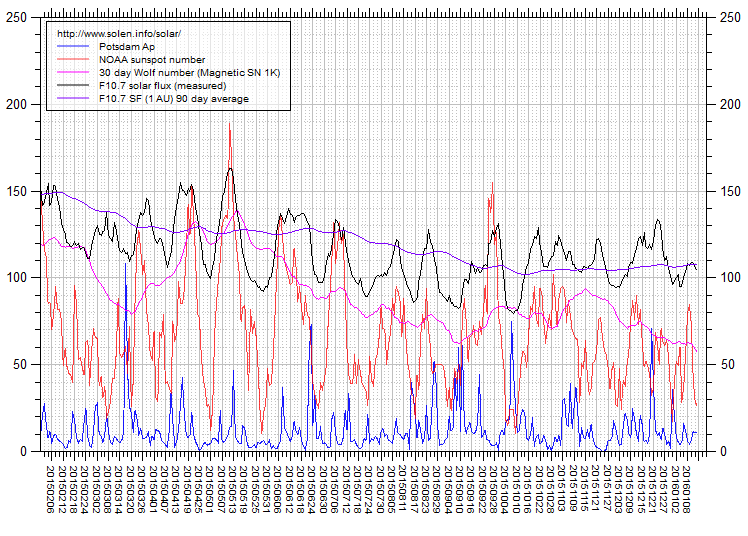 The cold wave that has hit large pars of Asia is totally ignored by Dutch MSM. A powerful cold air mass brought record amounts of snowfall to parts of Japan over the weekend. The storm caused accidents and paralyzed transportation. The snow caused serious travel disruptions. About 200 domestic flights were canceled on Monday. And hundreds of bullet trains were delayed. In the Shikoku region, more than 20 cars and trucks were stranded on a national highway for one day. The cold air ruptured water pipes and cut power lines, affecting thousands of households. The snowfall and low temperatures are affecting farm produce. In the western prefecture of Shimane, the heavy snow crushed greenhouses. Analysts say the prices of vegetables are expected to rise. Meanwhile, in the south, sleet fell on Amami Oshima Island for the first time since 1901. Residents there usually enjoy temperatures of around 17 degrees Celsius this time of year. Sleet also fell on the main island of Okinawa. It was the first measurable snowfall in history. Laos: VIENTIANE, TUE, 26 JAN, 2016 – Northern Lao provinces hit by extreme cold snap. People and livestock in upland areas of northeastern Laos are struggling with the freezing cold as temperatures in some areas dropped to zero, while lowland areas too have been taken by surprise. Low temperatures are currently being experienced throughout the country, with the cold being accompanied by strong wind and rain in some places, notably Phongsaly, Huaphan and Xieng Khuang provinces. The temperature in Xamneua district, Huaphan province yesterday dropped to zero degrees Celsius, while Phongsaly recorded 1.5C and Xieng Khuang 0.2C, the Meteorology and Hydrology Department reported. Some upland areas of Huaphan province experienced frost. 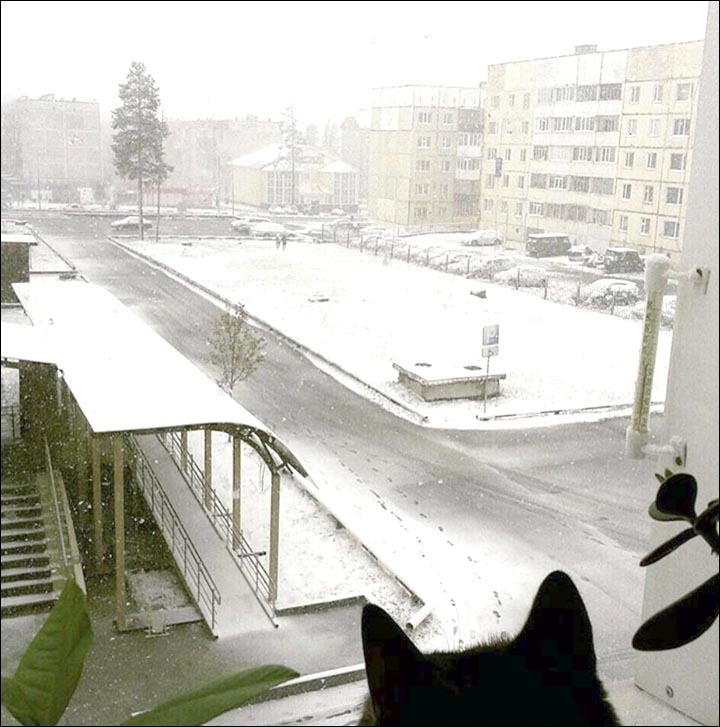 Many people commented on social networks on Sunday that it was snowing but the department confirmed that it was not. The cold spell and sudden drop in temperatures throughout the country is thought to have led to the deaths of at least two elderly people in Chai Nat province, with forecasters predicting the cold is likely to spread. Picture of schoolchildren in winter clothes in Bangkok area schoolclass. Guangzhou residents were excited Sunday to observe snow falling in their subtropical city for the first time in 88 years. Even if the flakes were small and the snow didn’t really stick, people were out in force taking photos of this rare phenomenon. A large number of children in Lalmonirhat and Dinajpur have been hospitalised with diarrhoea and pneumonia as fall in temperature amid the biting cold for the last few days led to spread of the cold related diseases in northern districts. Buffaloes have recently died due to the extremely cold weather. It’s officially Snow Day in Northern Vietnam right now, with a massive cold blast hitting that part of the country and giving some regions their first ever taste of snow. Ever. Confused locals and tourists alike have been getting out into the winter wonderland and enjoying the cold, wet, white substance known as snow. Taiwan: Taipei, Jan. 25 (CNA) Hundreds of people who visited mountain areas in Taiwan over the weekend to get a rare glimpse of snow remain trapped because of road closures caused by the snow, local authorities said Monday. A total of 513 visitors to mountains in Hsinchu County were forced to spend an extra night at their destinations Sunday after roads were closed by 30 centimeters of snow, the Hengshan Police Precinct said. Snow stopped falling early Monday but just over 10 cm of snow remained on the ground as of Monday afternoon, and police said the roads would not be reopened before all the snow is cleared. Agricultural losses caused by the cold front enveloping the nation yesterday reached NT$132.15 million (US$3.93 million), according to Council of Agriculture estimates. According to the nation’s weather agency, the Monday morning temperatures in Seoul was a bone-chilling minus 14 degrees Celsius, Daegu minus 11, and Busan minus 8. Korea’s southern regions also received warnings of heavy snow in the morning, while a record 1-hundred-30 centimeters of snow piled up in eastern island of Ulleung-do. It’s been eight days since ships couldn’t approach or leave the island due to strong winds and waves causing the island to run out of daily necessities. But conditions are easing, with temperatures forecast to return to seasonal norms from Tuesday. Flights to and from Jeju-do island are also back to normal from Monday afternoon, ending the 42-hour suspension for some 87-thousand travellers stranded on the island. Korea isn’t the only country braving the severe cold spell. A massive blizzard struck the U.S. East Coast over the weekend, and at least 19 people have died in storm-related accidents. A state of emergency has been declared in eleven states and about 12-thousand flights have been canceled. Washington, D. C., received 60 centimeters of snow, the second-highest since 1922. And the federal offices in the capital will be closed on Monday. China also suffers from the harsh cold spell, with some northern provinces reporting seasonal lows of 48 degrees below zero. Hong Kong saw its coldest day in nearly 60 years on Sunday as the mercury plunged to three degrees Celsius. Large parts of Asia are in a deep freeze, but the Main Stream Media does not report it. Bangladesh, January 25, 2016: At least 286 children were admitted to Pabna General Hospital with cold-related diseases in the last 24 hours till 10am on Monday. Acting assistant director of the hospital Mahmudur Rahman said the children had been suffering from pneumonia, cough, asthma, diarrhoea and fever, caused by severe cold. Besides, nearly 1000 patients, including children, received treatment from the hospital in the last one week for cold-related diseases, he said. Life is almost paralysed by the biting cold in nine upazilas of the district. The poor are burning hey and fallen leaves to keep them warm. Sources at Ishwardi Met office said the weather may remain nearly unchanged over the district. Pakistan, January 26, 2016. Biting cold brings life to halt. LAHORE: Dense fog and biting cold continued disturbing routine life in plains of the country including Lahore yesterday by disrupting road, air and rail traffic and causing large scale gas load shedding. Experts have forecast the prevailing harsh weather conditions to persist during the couple of days. Intensity of fog is likely to decrease in plains of Pothohar region after two days. Punjab authorities have closed down schools from Jan 26 to 31 because of biting cold, a private TV channel reported. Cars under water after heavy storm in Australia. Although heat waves were supposed to result from Global Warming, the new term Climate Change suggests that lots of rainfall are also CO2 related. The Dutch MSM is even worse than the BBC. They know very well what is happening in Asia, but they keep their mouth shot about it, only reporting about weather in other countries when it seems to fit in the Global Warming delusion and keeping silent about it when it does not fit in. Snow has been reported across forested upland areas in northern Laos as the extreme cold snap and associated precipitation persisting across much of Indochinese Peninsula since Sunday begins to ease, China’s Xinhua news agency reported. Temperatures in the low single digits Celsius during the day and around zero degrees or below at night since Sunday were accompanied by snow across elevated areas of the country’s northern provinces. The cold snap led to a temporary three-day suspension of domestic flights by the national carrier Lao Airlines between the capital Vientiane and the airport servicing the province of Oudoumxay while flights to other affected provincial centres faced delays, state-run media Vientiane Times reported. In the province of Phongsaly, three-day extended leave was provided to public servants except police and defence personnel until Wednesday to help minimise the risks to life from unnecessary travel. Public schools across the country already closed for a week long break awaiting a decision on whether to reopen on schedule Monday depending on the weather. The scope of the socio-economic impact of the cold snap upon the least developed country of some six and a half million remains as yet unknown, with livestock and poultry deaths in the affected areas continuing to be reported to the authorities. 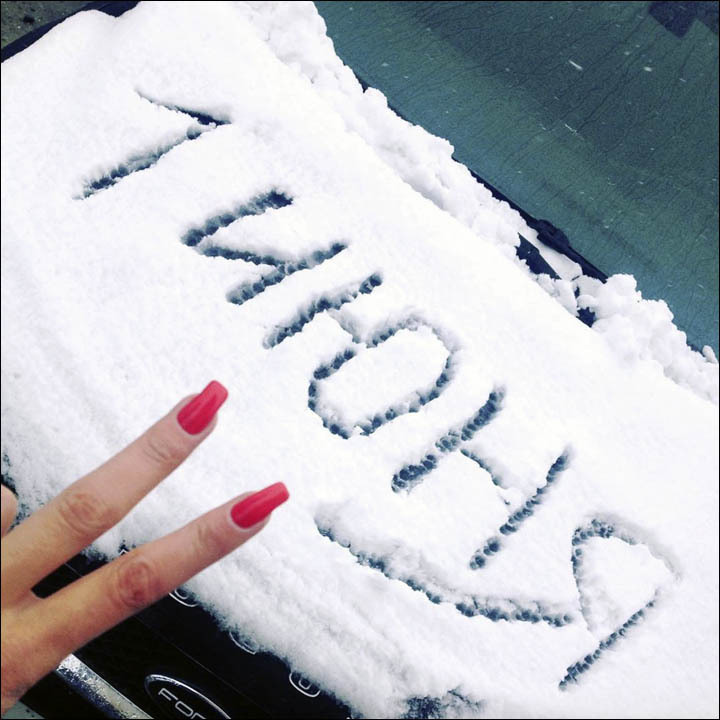 Meanwhile, images of the rare sprinkling of white have been shared by locals and visitors alike on social media. Snow was also recorded at popular tourist destination Nam Et-Phou Louey National Park, a 4,229sqkm nature reserve incorporating parts of the provinces of Luang Prabang, Huaphan and Xiengkhouan boasting a peak elevation of 2,257m above sea level. Images of white-dusted tropical foliage were shared on the website of the park and its award-winning Night Safari, an ethical tourism venture that provides visitors with views of the area’s rare and endangered fauna while sustaining local employment. – Bernama, January 28, 2016. Reader’s comment: Snowfall in Laos was at first denied by Laos authorities, but now reliable sources from China (Xinhua) and Malaysia have confirmed the rare snowfall in tropical Laos. And also: in the past we have seen snowfall in Saudi Arabia (Tabuk area) before, but now for the first time the word HEAVY snowfall is being used. The 24 sec. video shows a car and a tent covered under a thick layer of snow. After suspending classes today in Saudi Arabia’s Northern border, the Presidency of Meteorology and Environment warned of troughs accompanied by decreasing temperatures throughout the Kingdom, as it is likely for the Northern areas to witness temperatures below 0°C in light of the continual snowfall in Arar and Sakakah, while it pointed to the possibility of rainfall on Al-Jouf, Hail, Al-Qassim and Hafr Al-Batin. Mexico comes from living his eighth winter storm season when just average, which already had 34 cold fronts, with snow and temperatures that dropped in some places up to -17 ° C, forcing the government to declare “extraordinary emergency” 24 the 32 states of the country. While the storm Jonah was unleashed on the United States, in Mexico temperatures dropped to record lows, which was reflected not only the level of concern of the authorities, but also among the population turned for hours ConFríoYo the hashtag trending topic. The National Meteorological System, has warned that the worst of winter may be yet to come and that temperatures will fall in the north, northeast, east and center of Mexico, by any measure. More than 440 municipalities and assist their inhabitants. The central government provided funds to enable different lines so that at least 446 municipalities receive food and shelter, to immediately begin to assist people in the most precarious situation. The situation is particularly worrying in the north, where the thermometer reached the -17 ° C mark. In Mexico City it snowed in January, a phenomenon not seen in the capital since 1967. Regionally, the most affected are the northern states: Chihuahua, Coahuila, Sonora, Nuevo Leon and Tamaulipas, although significant frost and freeze municipalities of Puebla, Zacatecas, San Luis Potosi and Veracruz are also recorded. On the heights of the “Neovolcanic”, the mountain range that crosses Mexico and includes volcanoes Popocatepetl, Nevado de Toluca and Pico de Orizaba, snow dominated the landscape. Forecasters say however that cold feeling that exists among the population is higher than usual due to the El Niño delayed entering long winter and when he arrived he was more intense than before. This news about the “dzud” in Mongolia is 5 days old, but still important enough to know. This year the winter in Mongolia is even worse than usual, the Red Cross has delivered food parcels, warm clothes and fuel to people caught in the dzud to help them cope. Each bush fire in Australia is headline news for the Dutch MSM, but the Mongolian dzud is not mentioned at all. Even the leading English language Mongolian news agency, UB Post Mongolnews, does not mention the recent distribution of aid to the dzud victims by the Red Cross. Government Secretary of the Department of Las Heras, Raul Villafane talked in the program “Brainstorming” (MDZ Radio) about the situation that exists in the mountains, the product of a snowstorm that left accumulated precipitation of up to 4 meters and a half . According to the municipal official, the area of ​​influence of operational contingency is from Uspallata to the tunnel mouth, where they are affected more than 10 thousand people. Uspallata, Polvaredas, Punta de Vacas, Mundo Perdido (Lost World), Penitentes, Puente del Inca and Las Cuevas, are all towns that were under the snow. Villafane said the snow accumulation ranges from 35 cm to 4 meters and a half in Las Cuevas, but fortunately the storm stopped at around two o’clock and today work under “a stunning turquoise sky”. Reader’s comment: Mundo Perdido, lost world, how well chosen the name of a village that disappeared under four meters of snow. But we will not read this kind of news in the MSM, nor will we see the popemobile driving around there, in the Pope’s native country, Argentina. This is happening in Argentina, the native country of Pope Francis. Near the Chilean border. There has been excessive snowfall on the other side of the border, too. Today, June 6, 2016, Los Andes reports red alert after the snowstorm, school classes suspended, two meters of snowfall and temperatures of minus 20 degrees Celsius. “Mountain Zone red alert follows the snowstorm plaguing these locations since last week. In Las Cuevas he re recorded a low of 20 degrees below zero and parts gathered up to two meters of snow. “Red alert continues snowpack,” said the director of Civil Defense, Oscar Pizarro. Reader’s comment: Global warming sure has hit your native country hard, Pope. 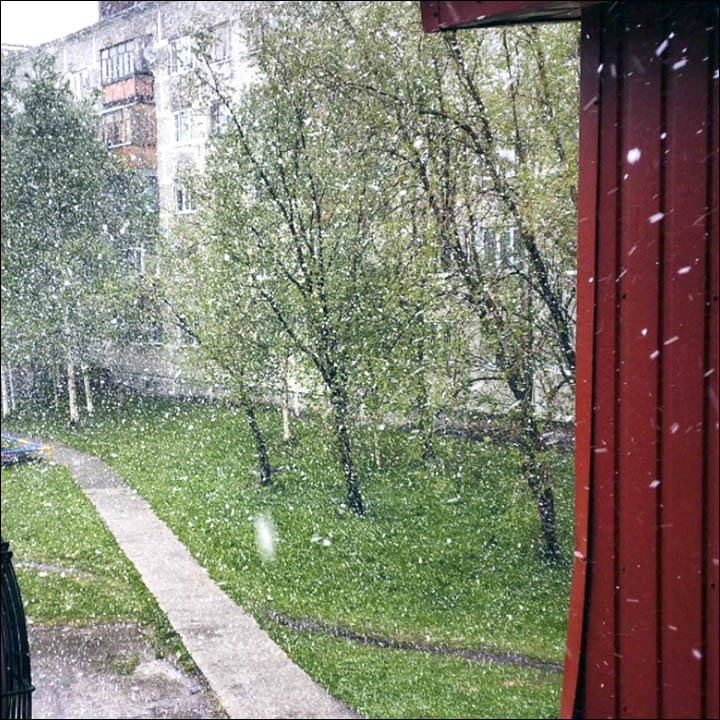 Kara over: nature continues to mock the Ukrainians – in June it snowed. Kyiv, June 10. Something does not define the start of the summer in Ukraine. That a country bombarded powerful downpours and wind, the snow falls in the summer. At this time, the celestial car caught up with one of the oldest cities of Western Ukraine – Lutsk. Because of heavy rain flooded the city literally. As the local people in social networks, the rain started on Thursday, June 9 afternoon. However, when the water test was over, began “copper pipes”. 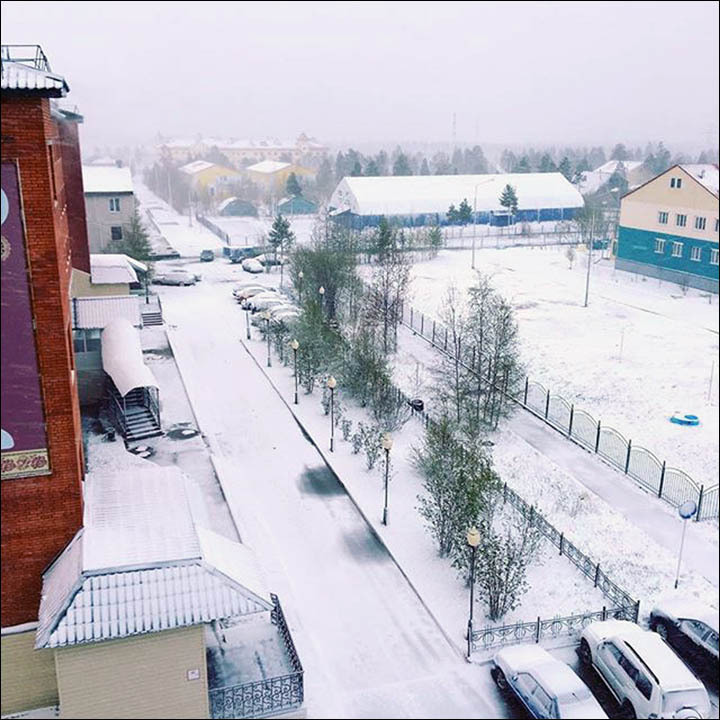 Rain in Lutsk was replaced by snow and hail. 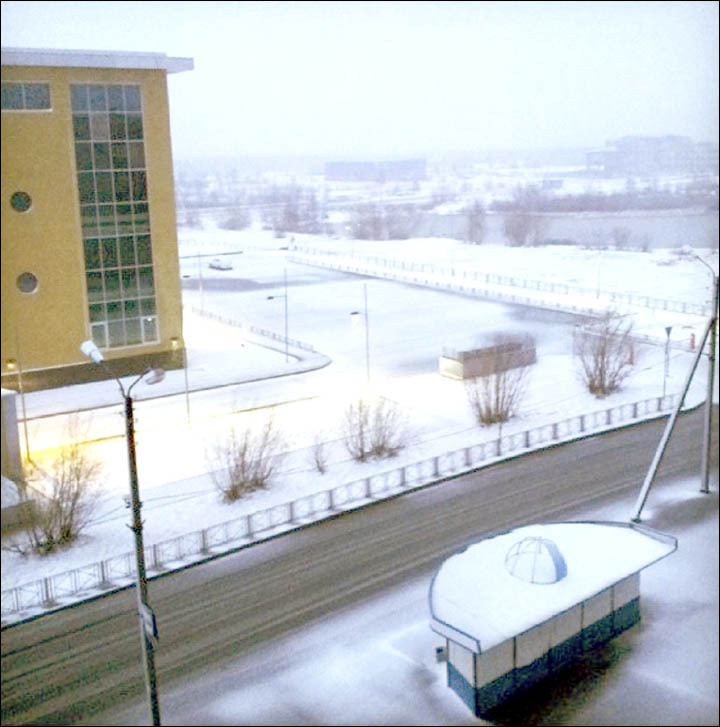 As a result of natural “surprises” the city is not only flooded, but also covered with snow. 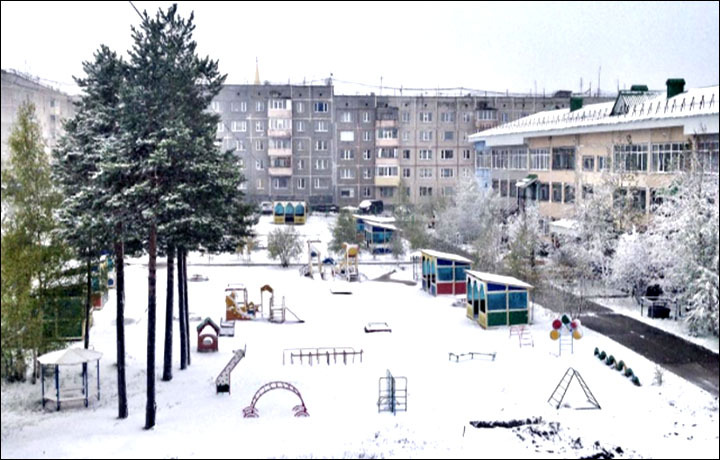 Local media later wrote that the residents of the city even has a unique opportunity to play in the early summer of snowballs. Comments on the Net also pleased and made me think. That kind of storms usually do not occur in that area, but NASA has managed to explain the phenomenon. 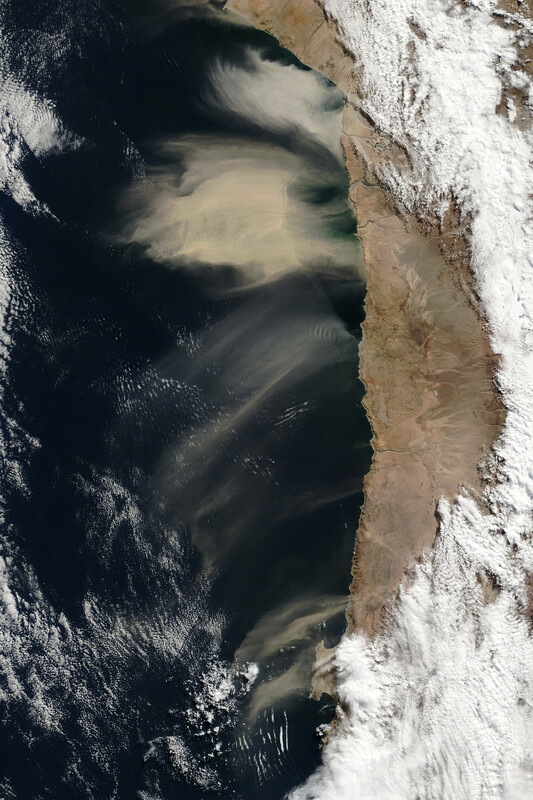 On July 8 a strange dust off the coastal area of ​​northern Chile was recorded. That kind of sandstorms is unusual in the west coast of South America, so it was regarded as ‘unusual’. Winds in the region “not contribute to develop large sandstorms, as we see in North Africa or in Asia,” said Joseph Prospero, an atmospheric scientist at the University of Miami (Florida, USA), cited by NASA. However, experts have found that this accumulation of stuff happened naturally. Apparently, strong winds that moved sand from a high hill located in one of the areas between the Andes and the Pacific coast. “The origin could be on a high slope, which may have allowed the sand to rise and travel to far distances,” said NASA. Also, this agglomeration could have given katabatic winds generated “when the air comes into contact with a cold soil that is at high altitude and frozen by radiation”. Along with dust, these currents brought rain and snow, which caused the temporary closure of several airports.